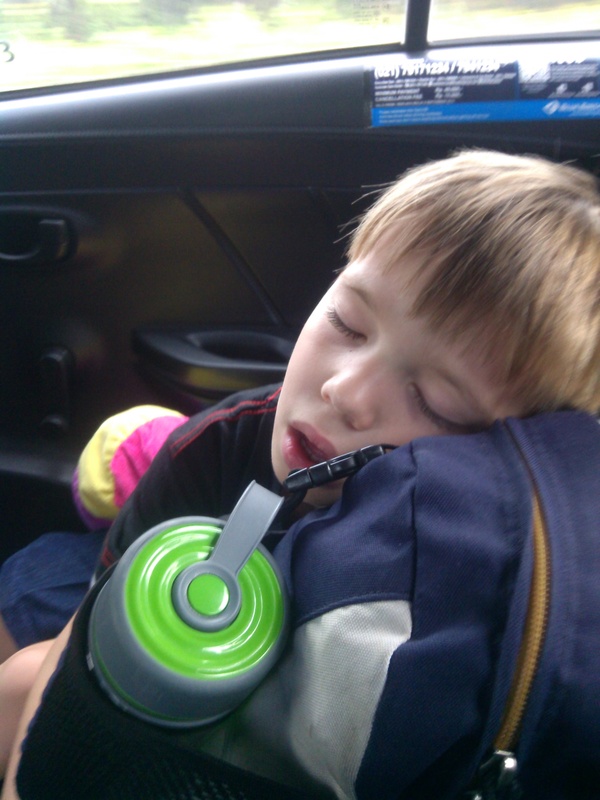 Cian didn’t even make it on the taxi ride to the airport in Jakarta. Our last day of school was Friday, June 13 and it ended in a whirlwind of grades to complete, events to attend and goodbyes to endure, as all school years do. 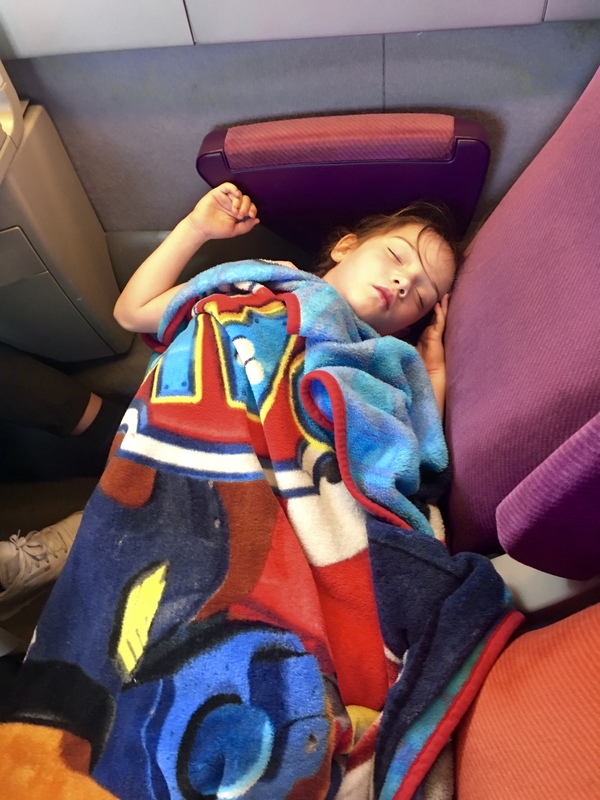 Adding to that the sorting and packing as we prepare to return to the States after two weeks in France for summer break gave me no time to write about the last month’s experiences. We arrived in Paris today after a 12½ hour flight from Kuala Lumpur, Malaysia this morning. From the airport we took a bus to the 12th arrondissement of Paris, close to the famous Gare de Lyon train station, where we will spend a couple days in a rented apartment before heading (as long as the train strike is over) to Carcasonne in southern France. We’re meeting my parents (known to the kids as John Deere Mimi and John Deere Pa, named by a younger Cian as they own a riding lawn mower) and sister for a week houseboat cruise on the Canal du Midi, then fly to America from Toulouse. We return earlier than expected to Jakarta, August 3, so I can run new teacher orientation as Upper School Liaison next year (lingo for grades 6-12 vice-principal while still teaching), taking over for Adrian who is moving to the American School of Lagos. 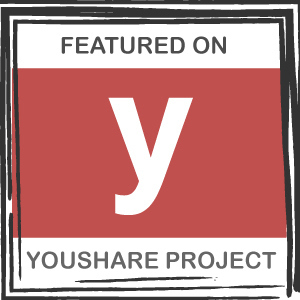 More on this and the rest of the end of the year to follow. 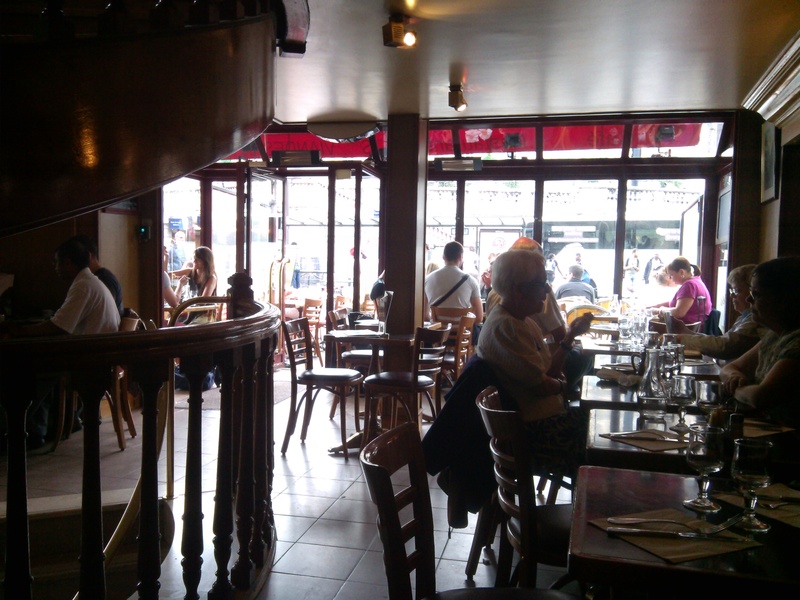 A view of our very Parisian cafe where we had lunch. Paris is beautiful and the streets and architecture are exactly as you would picture them, but this tropical family is stunned by how cool the temperature is for June: 70ºF if the sun hits you right while today’s forecast for Jakarta is 89ºF no matter where you’re standing. We had to return to the apartment to find warmer clothes as the kids were crying that they were freezing (secretly, so was I). We walked around the neighborhood a bit before dropping into a cafe to enjoy escargot, fondue with a baguette and various cured meats, wine and other delicacies we can’t find in Indonesia (I’ve already mentioned Indonesian “cheese” and a bottle of cheaper wine, say Jacob’s Creek, starts at $22 on a good day in Jakarta). The kids, despite doing well on the trip over, finally gave into jet lag and travel exhaustion, so back to the apartment for sleep. 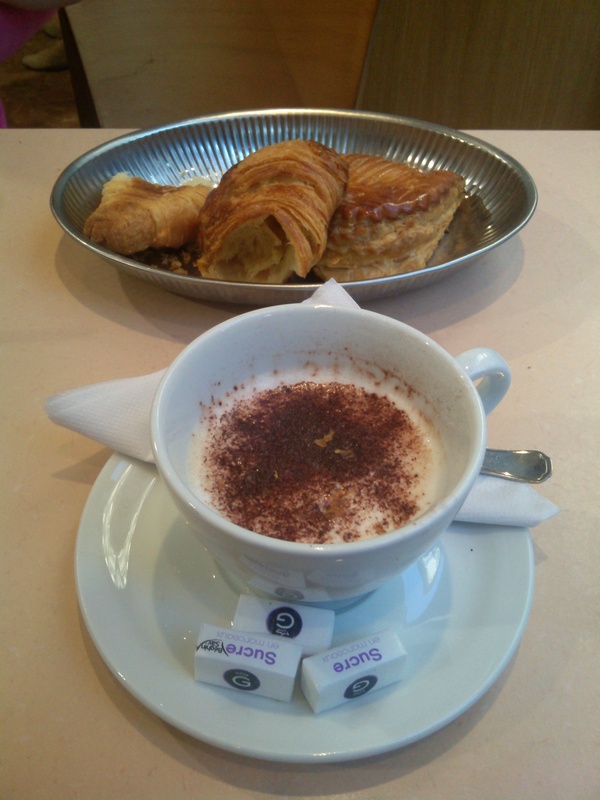 Our oh-so-French breakfast at a patisserie around the corner from our apartment. I will be back here at the end of the month to regale you on the end of the year’s events and rest of our trip in France, so stay tuned in a few weeks!